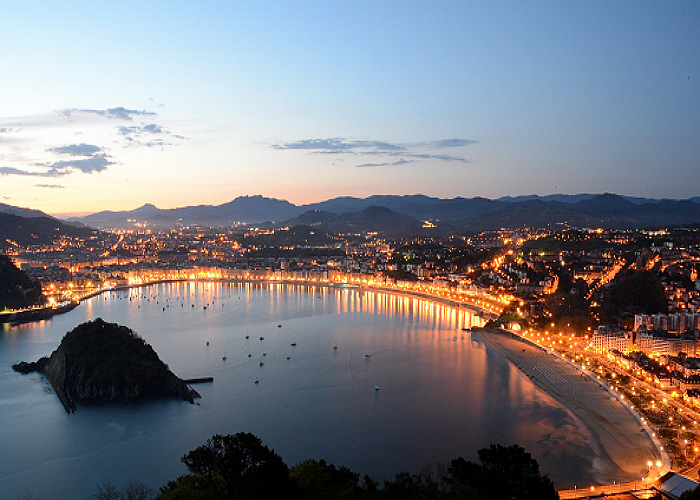 We are located in Donostias downtown, in a quiet pedestrian area called “romantic zone”. Its privileged location is ideal since popular places such as the harbor, beaches, promenades, monuments and dining area at walking distance. Pensión Urumea is located in a pedestrian street at just two minutes walk from The Cathedral. A five minutes walk from the “old town” know as “casco antigua”. The beautiful beach of “La Concha” can also be reached within few minutes walk. The Kursaal Palace and Congress Centre is only 10 minutes from the guesthouse. San Sebastian train station is just a 5 minute walk. The main commercial area in town is few blocks away. The old Town with an exclusive cuisine can be reach in a short walk as well.